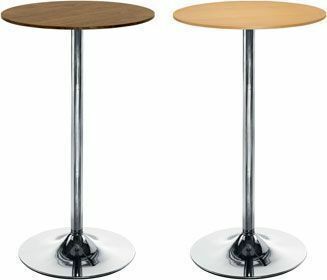 These tables are perfect for saving space and situated around a bar area or close to windows and thin sections of a cafe. They are very strong and come with a standard five year warranty. Popular complete poseur table with attractive cafe table top. Complete with a heavy duty chrome plated table base.